I finally figured it out! 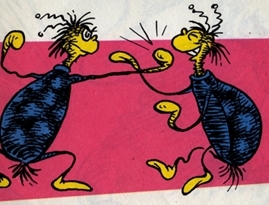 Those sneaky little Tweedle Beetles are back! Well, I don't suppose they ever really left, but they have been quiet for quite some time. For whatever reason, they have decided to passive-aggressively attack me over the past several days. Sadly, it took me over a week to discover the identity of the attackers. Damn Tweedle Beetles! I brewed another batch of beer last night. I call this recipe Psychotically Dark and Bitter IDA (follow the link to see the recipe). It is another batch of beer designed to use up Mr. Beer ingredients that were given to me (ie free!) last year at GABF. Of course, India Dark Ale (IDA) is what I like to call the Black IPA / Cascadian Dark Ale / American-Style India Black Ale / whatever-else-people-call-it. I just hate the Cascadian Dark Ale name simply because it implies that is a regional beer style exclusively created in and for the Pacific Northwest. I like (and have used) the name "Black IPA", but calling a beer "Black" and "Pale Ale" just seems too oxymoronish. I like "American-Style India Black Ale", but it seems a bit long for the name of a style. Here are some of the articles in this blog in which I have mentioned the style: "Black IPA / IDA", "Cascadian Dark Ale", "Stone Soup IDA". Dave, the author of "Fermentedly Challenged" has commented on my blog a fair amount recently. I appreciate it enough that I feel that I should point out his blog to my other readers. I am not sure doing so will help his blog traffic. Probably not, but I don't think it can hurt either. "Fermentedly Challenged" is a relatively new addition to the "Blogs I Read" section on the right side of my blog. He is a great source for Colorado-related news. In fact, he gives Colorado Beer News just about every day. That is one of my favorite parts of "Fermentedly Challenged". It is a great place to get Colorado-centric beer information. So, I brewed Buckwheat's BPA today. I got started before church by printing out the brew sheet from Beer Smith. Then, I heated up 8 gallons of water and put it in my 10 gallon cooler. I let it sit in there until I got home from church. 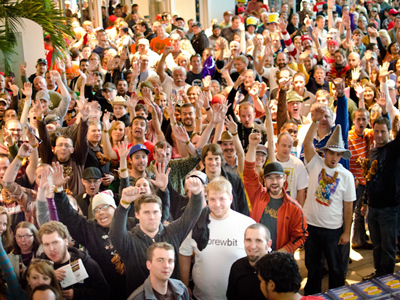 I just noticed that GABF has posted the attending breweries (Breweries at the Festival). I think this is a recent posting, but I just may have missed it up until now. I am not sure this is a final list. It might not be, but I don't think the final list would be much different than this one. 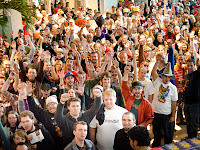 Of course, I have mentioned the GABF on this blog quite a bit: http://blog.ericshepard.com/search/label/GABF . Part of the reason that this list is interesting to me is that I will be attending the festival and will use it to try to find beers on the Zymurgy Best Beers in America list that I don't get a chance to try elsewhere. For most of the summer the boys have been saying that they wanted to go "just the boys" camping (this means without Mom ... in case you were not able to figure that out). This weekend was finally the time we did it. We decided to go to Buffalo Creek Campground, which was the place Tyler and I did our first "Just me and My Dad" trip. It isn't the greatest campground in the world, but it takes reservations and it certainly is not the worst place either. When I work too late into the night, I have a hard time getting to sleep. It doesn't really help to be at the computer after. At this point, I really should be sleeping. I do really like this song ... I wish the beer model could play it on the guitar. I suppose it probably is not nearly as good with one musician, though. Well, believe it or not, there are a couple more videos to post from the Laser Camping in the Salt trip. I still have not told you why I call it "Laser Camping in the Salt". Does anyone want to take a guess? Do you? Do you? You could win fabulous prizes if you come up with the best (one that entertains me the most) answer. Double points if it is the right answer too. As promised, here are some videos from our "Laser Camping in the Salt" trip. We went to the Great Sand Dunes National Park last weekend. It is only about 4.5 hours south west of us, but the Colorado Shepards have not been there since the summer after we first moved to Colorado. Of course that was before we had kids, so the youngest members of our family have never been. I should apologize (especially for those of you with dial-up internet connections) for the number of pictures here. It was hard to cut down the selection (although this is not even close to all of the ones we have). Almost a month ago The Beer Wench announced that August 4 is "International #IPADay". It is designed to be a social media phenomenon to promote the popularity of craft beer. 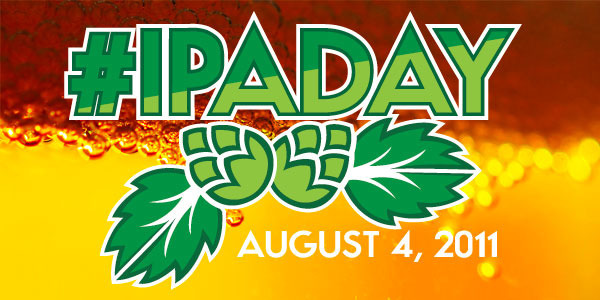 The hash tag is a twitter-specific thing, and when the announcement went out, I noticed quite a bit of reaction at http://twitter.com/#!/search/%23ipaday . Most of it was positive. Some of it was negative. Some of it was almost make-personal-attacks-at-Ashley-kind-of-negative. I suppose that is a function of twitter. Can't please everyone I guess. The very next day, the Wench made another post about the event to answer questions she apparently got (mostly from twitter, I'm sure). Quite some time ago, I noticed a that the Bearded Brewer (Bearded Brewing Blog listed in the "Blogs I Follow" section at the right of this page) had a link to his very own "Zazzle Shop". Basically, Zazzle allows you to create all kinds of customized products. You can upload pictures to place on all kinds of things to brand them however you want. You can order straight from Zazzle. Even cooler, you can show your custom products on your own online-store. Zazzle takes care of everything and will give you a royalty on anything bought through your store. At the time, I thought it was really cool. I thought I might like to have SheppyBrew products available in something similar. Then, I forgot about it for awhile. But, recently, I've been playing around with creating SheppyBrew branded products on Zazzle. Then a couple of days ago, I made my own Zazzle Shop at http://www.zazzle.com/sheppybrew to share these products. Now, I am finally sharing the shop with the world.